Closing date for receipt of entries is 31 December 2018. You can write on any subject and there is no line limit. The Prize is open to anyone (over 16). You can enter as as many poems as you like (at a cost of �15 per poem). Online payment should be made to enquiries@themothmagazine.com via PayPal. We can only accept postal orders from Ireland. receipt of your postal entry (include international reply coupon if entering from overseas). publish the winning poems in the March 2019 issue and any relevant promotional material. This year's judge is Jacob Polley. The judge�s decision is final and no individual correspondence can be entered into. The shortlisted writers will be notified by the end of February 2019. 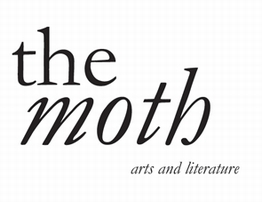 The shortlisted poems will be published in the spring 2019 issue of The Moth. The winner will be announced at a special award ceremony at Poetry Ireland in Dublin in the spring of 2019.